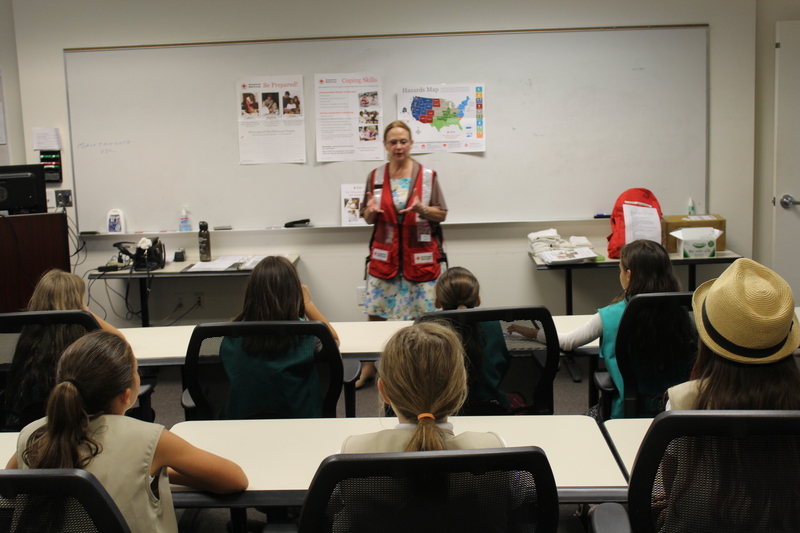 The Pillowcase Project, sponsored by Disney, is a preparedness education program for grades 3 – 5 that teaches students about personal and family preparedness, safety skills, local hazards, and basic emergency coping skills. Upon completion, students decorate a sturdy pillowcase which they can fill with personal emergency supplies. With messages like “Turn around. Don’t drown,” and “Get low and go,” Madison cautioned her young students not to let curiosity get in the way of safety. These easy-to-remember phrases, combined with information about what to put in a preparedness kit and how to handle feelings in an emergency, can make coping with a disaster a little less stressful for 8- to 11-year-olds. 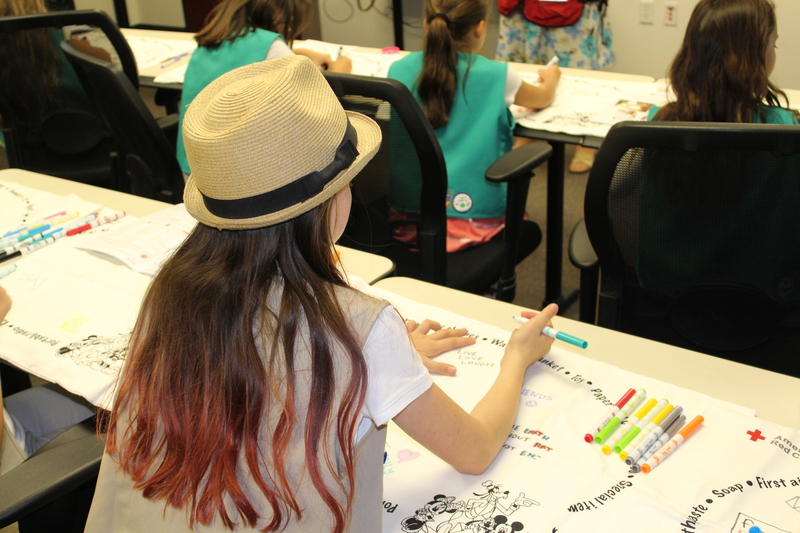 Haley Cantu, one of the Girl Scouts who attended the session, learned how important it is to practice a two-minute fire evacuation plan and stay informed. “You should do what an officer tells you to do if there is an emergency,” she said. Madison and other Pillowcase Project presenters have provided this valuable safety training to 374 students through the Gold Country Region since July 2016. Their goal is to reach 2500 students by June of next year.